Cloud Imperium Games (CIG), the developers of the epic crowdfunded space-combat game, Star Citizen, today re-launched the website, www.robertsspaceindustries.com , providing visitors a more intuitive experience and stronger branding for all three pillars of the game’s development. The Star Citizen section includes updated art and media, and in-depth background information on the game and its lore. 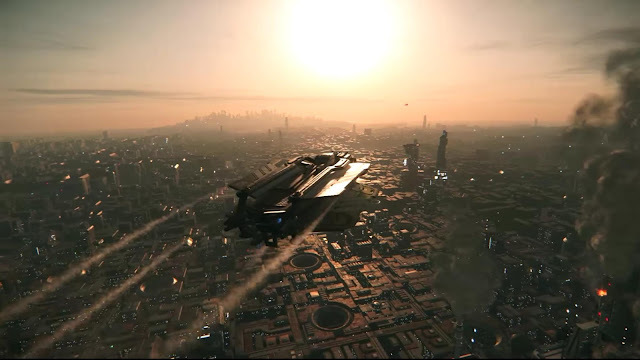 A new area, designed to help incoming players get started, includes video tutorials that will help new players create an account, pledge for a game package, and master the basics of Star Citizen’s Persistent Universe, like flying, combat, and interacting with the world. The Squadron 42® section (much of which was previously rolled out in December) introduces players to the cinematic single player campaign set within the Star Citizen Universe, with details on the game’s all-star cast, its story and updates on its development. The Roberts Space Industries® (RSI®) section is where current players interact with the game’s community and developers, and stay up to date on the development of Star Citizen. Through naming conventions, artistic style, and calls to action, all three sections will immerse players into the Star Citizen Universe. Star Citizen is 100% crowdfunded and was officially announced on October 10, 2012 and is recognized by Guinness World Records as the top crowdfunded project and game in the world. People interested in backing the project can do so at http://robertsspaceindustries.com/pledge.